It’s Taper week. The marathon is on Sunday. I’ve never been so busy leading up to a local race before. It’s been good though. It’s been rewarding to to help out and do my best to promote this inaugural race. 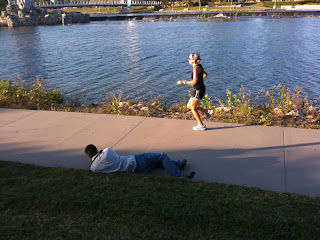 Wichita is not a marathon city….yet. Many people are still unaware of what’s really getting ready to happen. Kenton and I have really tried to use our connections and help make Wichita a marathon city. Kenton developed a spectator’s site. We drove the course this week and really scooped out the best places to watch from. We also got to visit with many of the businesses that are along the route. Hopefully, the buzz will spread and the city will come out on Sunday to support the runers. Spectators make the race. 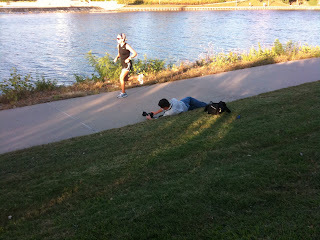 Some of my favorite race memories are from spectators.